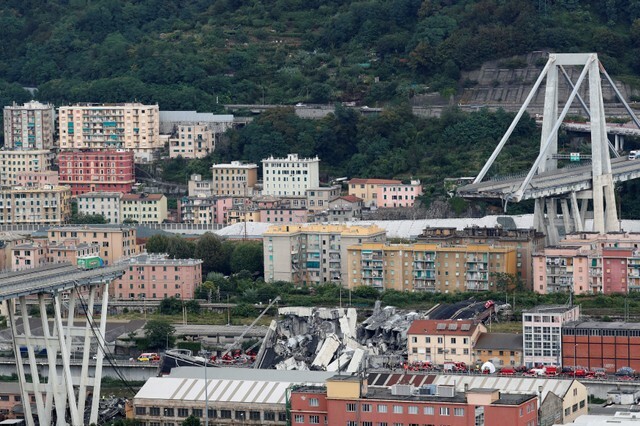 Rescuers searched for survivors among towering slabs of concrete wreckage in Genoa after a bridge collapse killed 39 people and sparked a furious government reaction against the viaduct's operator. 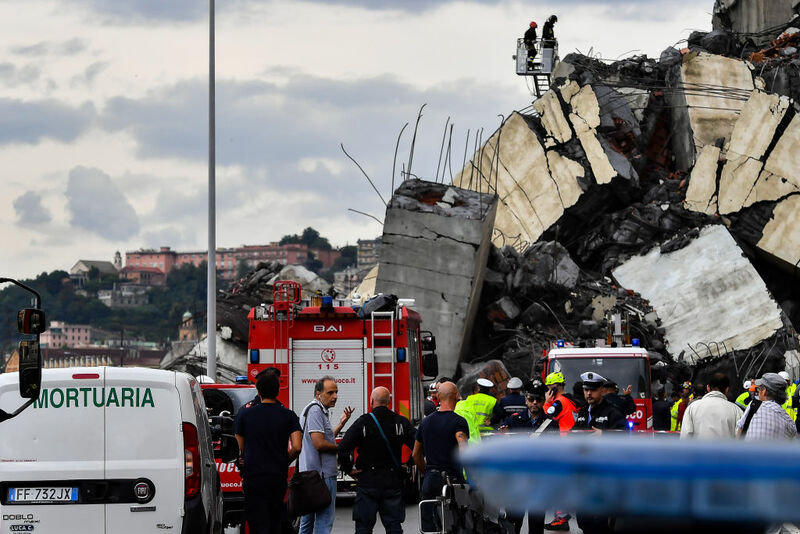 The 50-year-old bridge, part of a toll motorway linking the port city of Genoa with southern France, collapsed during torrential rain on Tuesday (local time), sending dozens of vehicles crashing on to a riverbed, a railway and two warehouses. Eye-witness Ivan (37) evacuated on Tuesday from the nearby building where he works, described the collapse as unbelievable. The condition of the bridge, and its ability to sustain large increases in both the intensity and weight of traffic over the years, have been a focus of public debate since Tuesday's collapse, when an 80-metre span gave way at lunchtime as cars packed with holidaymakers as well as trucks streamed across it. The Morandi Bridge, named after the engineer who designed it, forms part of the A10 motorway run by Autostrade. The 55km stretch of the A10 accounts for around 1.7% of total network traffic for Italy's biggest toll road operator, according to one analyst's estimate. He also the government would inspect the structure of ageing bridges and tunnels across the country with a view to launching a programme of remedial works if required.